Arm has launched some new processor IPs that it claims will help deliver a premium experience to millions more customers. The suite of new products includes the Mali-G52 and Mali-G31 GPUs, the Mali-D51 Display Processor, and the Mali-V52 Video Processor. These products will help mainstream devices achieve good performance for 3D gaming, mixed reality, and introduce more customers to the benefits of machine learning (ML). The above named GPUs address the next gen mainstream and next gen ultra-efficient markets, respectively. 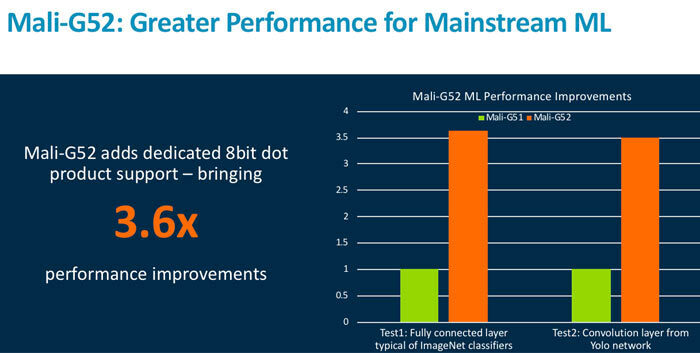 More specifically Arm says that it envisions Mali-G52 with its brand-new execution engine design supporting premium use cases like Machine Learning (ML) and Augmented Reality (AR) in mainstream devices, and the Mali-G31 (its smallest GPU to date) supporting the latest APIs for graphics development and complex User Interfaces for DTV. Both GPUs are built upon the Bifrost architecture and support OpenGL ES 3.2 and Vulkan. 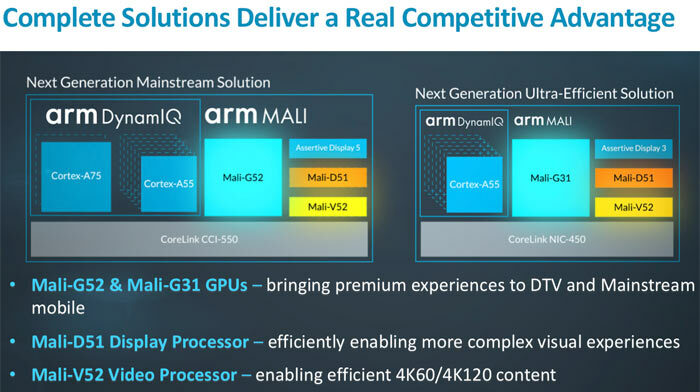 Arm says that partners can choose two or three execution engines per core, and up to four cores making this GPU rather scalable depending upon designer priorities. As well as opening up ML technologies such as object recognition, translation services, and a personalised UX, this GPU will be powerful enough for AR experiences reckons the chip designer. 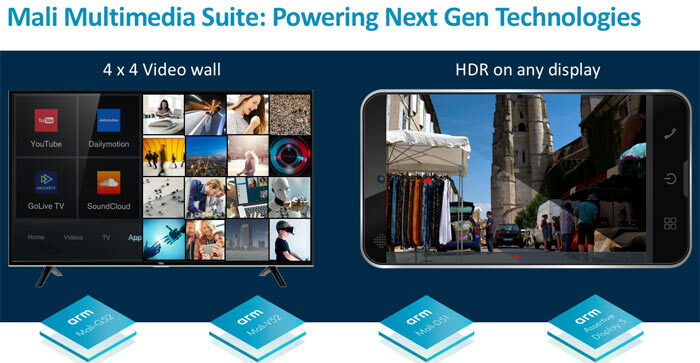 Meanwhile supporting components like the Mali-D51 Display Processor, and the Mali-V52 Video Processor major on power saving, efficiency, scene complexity, latency, image quality (HDR) and aim to improve 4K decode performance on mainstream devices.